Sean Szymkowski February 7, 2019 Comment Now! GM-Trucks.com published both a photo of the new badge and a video of the future sports car's startup animation. The website did not share where it obtained the photos and video, but simply said the info was publicly available since November and passed on via a source. Thus, we can assume everything here is legitimate. The badge is slightly revised and elongated toward the bottom. 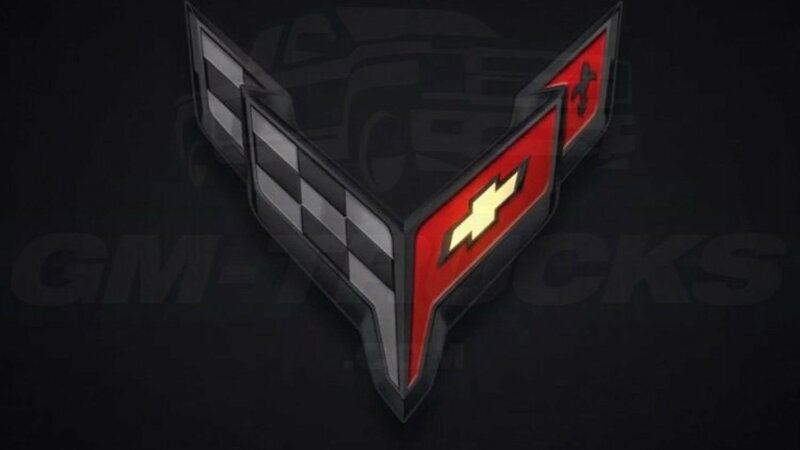 The angle of the flags also appears more acute compared to the current C7 Corvette logo. The photo of the badge still features a chrome outline, a checkered flag on the left, and a red flag with a Chevrolet bowtie on the right. The fleur-de-lis symbol also remains, which translates to "flower of the lily" from French. The symbol represents peace and purity. However, we do notice the fleur-de-lis symbol isn't underlined as it is in the current car's logo. About the cluster animation: it doesn't show the exact same Corvette badge. The chrome outline and matching fleur-de-lis are black in the sequence. 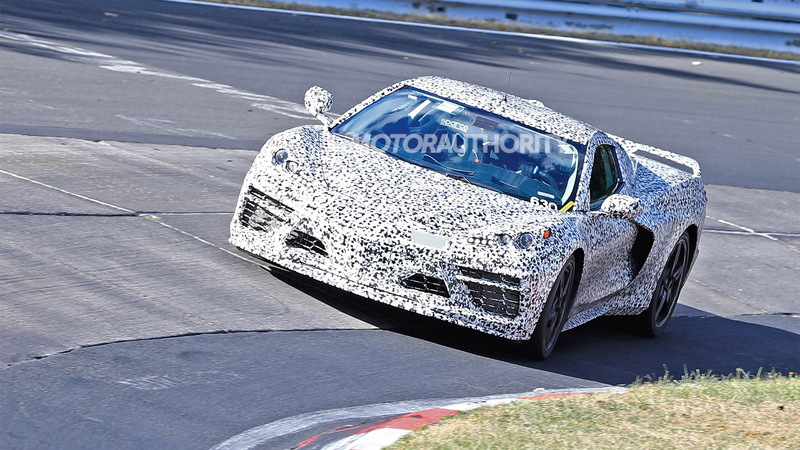 We can speculate that perhaps the cluster animation is for a higher performance variant of the mid-engine C8 Corvette. Rumors have swirled about multiple new engines for the revolutionary Corvette, including a DOHC V-8 with and without twin turbochargers. An all-wheel-drive hybrid model is also reportedly in the cards. Otherwise, it may have either been hard to simulate chrome in the digital format or it was simply a design decision. Even the "Corvette" font features an updated script. Rather than the letters sort of flowing into each other, the new font features separate letters with no connecting lines as seen in the start-up animation of the current car. One final detail we noticed: the startup animation also now reads "Corvette By Chevrolet." We expect Chevrolet will debut the 2020 mid-engine Corvette this summer, perhaps as soon as this May. It likely won't appear at a major auto show. Instead, look for the brand to hold a stand-alone event to reveal the sports car. 1,000-Horsepower Self-Driving Electric Faraday Future Concept Leaked?